You might not know this, but there are two distinct arguments about when dogs were domesticated. One group believes dogs were domesticated in the Paleolithic age (more than 17,000 years ago), and another believes dogs were domesticated much later, in the Neolithic age (17,000 to 7,000 years ago). So, when exactly were dogs domesticated? A team of researchers from Cornell University set out to find out which camp is right. They used 3-D scans of fossils to help determine the difference between wolves and dogs by studying ancient fossil canid mandibles (jaw bones) to determine if they were dogs or wolves. How does mandible evolution distinguish a dog from a wolf? Wolves have fairly straight mandibles, while those of dogs are curved. These features become evident in 3-D scans. The researchers, led by Abby Grace Drake, a senior lecturer in Cornell’s Department of Ecology and Evolutionary Biology, found that in the early stages of domestication, canids’ skulls changed shape, but the evolution of the mandible lagged behind. Although the team could distinguish 99.5 percent of modern dogs’ mandibles from those of wolves, a lot of the fossil mandibles couldn’t be classified as either dog or wolf. However, other data proved that the fossils were dog remains. Other evidence from two Russian sites showed that the canid remains were found with human dwellings, and there were marks that revealed butchery—meaning that the dogs were eaten. In addition, isotope analysis of canid and human remains at both sites indicates that canids and humans both ate fish, and that humans were feeding the canids. Drake said that since mandibles don’t appear to evolve as rapidly as the skull, they are not reliable for identifying early dog fossils. However, 3-D analysis of canid skulls uses landmarks across the skull—differences in the angle of the muzzle, snout, and eye orbits—provides more evidence of dogs’ domestication time. “The earliest dogs I’ve seen in my analysis were from 7,000 to 9,000 years ago,” Drake said. The Galápagos Islands are the home of thousands of unique species. In fact, those islands were where Charles Darwin began writing about his findings on evolution. But at least one of these species is in jeopardy because of warming ocean temperatures. Within the next century, rising ocean temperatures around the Galápagos Islands are expected to make the water too warm for sardines to tolerate. Why is that important? Sardines are a key prey species for many seabirds including the Nazca booby. Wake Forest University biologists published a study in the August 23 issue of the journal PLOS ONE about this phenomenon. They used decades of data on the diet and breeding of the Nazca booby to understand how the absence of sardines could affect the booby population. They studied the diet, breeding, and survival of Nazca boobies as part of their study at Isla Españnola in the Galápagos Islands for more than 30 years. In 1997, halfway through their study, sardines disappeared from Nazca booby diet samples, replaced by flying fish. 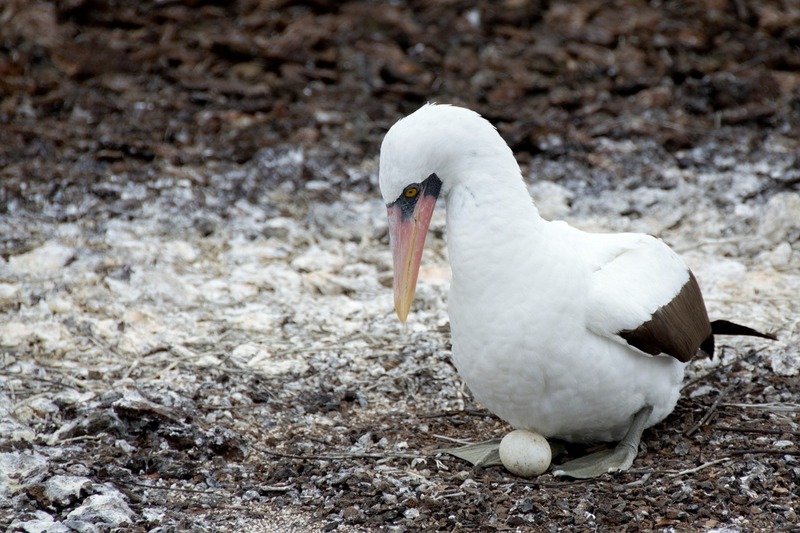 “If the current links between diet and reproduction persist in the future, and rising ocean temperatures exclude sardines from the Galápagos, we forecast the Nazca booby population will decline,” Tompkins said. But the Nazca booby isn’t the only creature that could be harmed by rising ocean temperatures. The study suggests that other Galápagos predators that do well when sardines are available will have to adjust to a new menu within the next 100 years. So many species have gone extinct or become highly endangered due to global climate change—probably including species we never even discovered—that it behooves us to act to stop, or at least slow, climate change. Given the United States’ exit from the Paris Climate Agreement, it’s up to other nations, and states and cities within the U.S., to step up and do something about this increasing danger to the survival of all animals, including humans. There’s a new charity in town—one whose goal is to launch a global reforestation project to counteract negative effects caused by the Trump administration’s policies and actions on climate issues. Founded by two twenty-something activists in New Zealand who, according to the Huffington Post, “felt compelled to act after Trump’s executive order in March that essentially prioritized the fossil fuel industry over the environment,” the goal is for Trump Forest (tagline: “where ignorance grows trees”) to grow so large that it can offset the additional carbon released into the atmosphere if the White House rolls back the Obama-era Clean Power Plan. The target of the campaign, called “Make Earth Great Again,” is to have more than 110 billion trees donated to local tree-planting organizations. Participants in Trump Forest can use the projects website to donate to Eden Reforestation Projects, a charity that plants trees in Madagascar, or make a donation in Trump’s name to a local tree-planting organization. As of August 4, the number of trees pledged has hit the 50,000 mark since it launched in March of 2017. Activist Adrien Taylor, also based in New Zealand, has paid about NZ$3,000 (about $2,100 US) to plant the first 1,000 trees along the Port Hills mountain range near Christchurch. 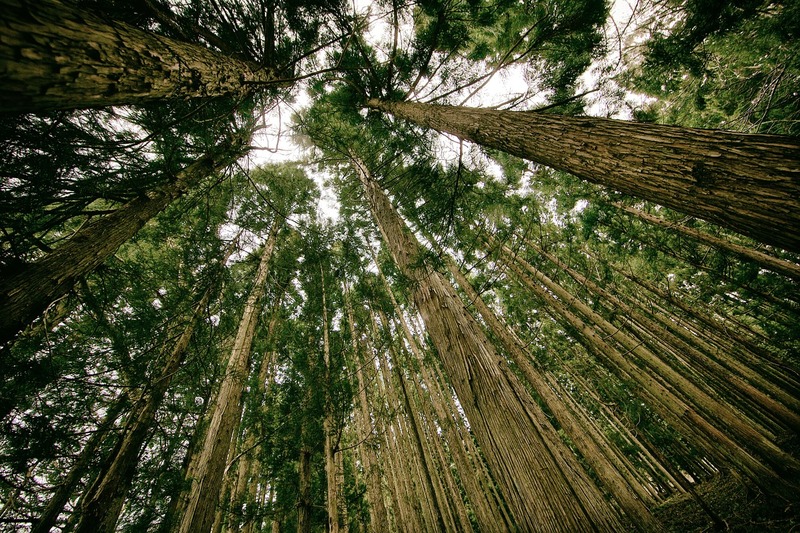 The Trump Forest team will ask for a receipt so they can visualize its global forestry efforts—a virtual map that will allow viewers to see all the trees planted in response to the Trump administration’s environmental policies. “I think the real and exciting part of this is that there’s an actual benefit growing from Trump’s stupidity,” Taylor said. To learn more about how you can participate in Trump Forest, visit the organization’s website. The iridescent blue male sunburst cerulean-satyr butterfly has been known for more than a century. But a more recently discovered dull brown butterfly was given a completely different species name. However, an international team of nine butterfly researchers used DNA “bar code” sequence data to prove that the dull brown butterfly is actually the female cerulean-satyr butterfly. Males and females look dramatically different from one another, a phenomenon called sexual dimorphism. This is common in birds, where, for example, the male Anna’s Hummingbird is very bright and flashy, whereas the female’s feathers boast a much more muted color palette. The classification mistake with the butterflies probably occurred because the brown butterflies are rare than the blue ones, and because sexual dimorphism is not common in most species of butterflies. The research team collected and analyzed DNA bar codes—short, diagnostic gene sequences—for more than 300 species across the euptychiine group of butterflies that includes the sunburst cerulean-satyr. It turned out that the DNA sequences for the sunburst cerulean-satyr and the dull brown butterfly, which had been given a completely different species name, were identical. The discovery of the female sunburst cerulean-satyr butterfly contributed to the recognition of the male and female of two other species in this group, including a new species from the cloud forests in eastern Ecuador. 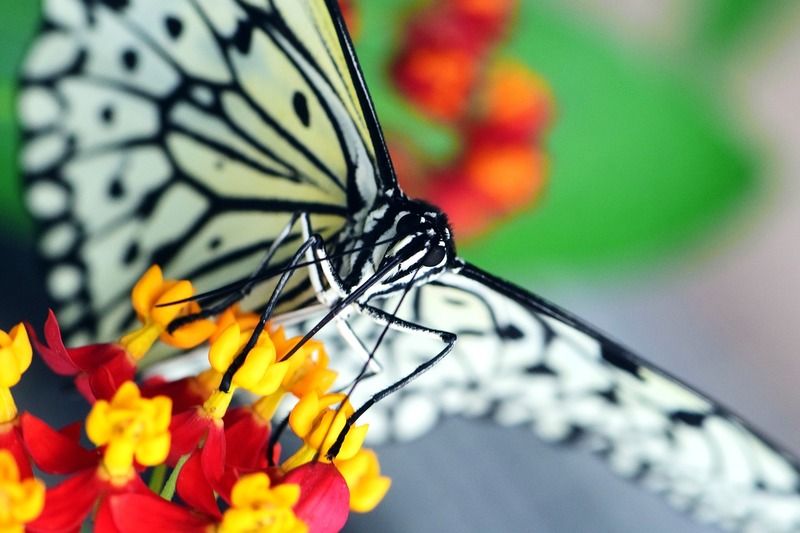 The different-looking males and females of the two species means that the euptchiine group of butterflies is one of the most sexually dimorphic among the species. A better understanding of the diversity and relationships among euptchiines makes it possible for scientists to think about bigger questions like why and how they diversified and the role wing patterns play in signaling between the sexes, Nakahara said. A recent study from the Oregon State University revealed that the six largest carnivores in the world have lost more than 90 percent of their historic range. The researchers mapped the current range of 25 large carnivores and compared them with historic maps from 500 years ago. “Of the 25 large carnivores we studied, 60 percent (15 species) have lost more than half of their historic ranges,” said researcher Christopher Wolf. “As many carnivores were historically sympatric [descended from one common ancestor] and are at high risk of future range contraction, conservation should be accomplished at the level of whole predator guilds [groups of species that exploit the same resources, or who exploit different resources in related ways] when possible,” the researchers wrote in their report. What this means is that contracting the range of one species—either through physical barriers like fencing or the widespread use of land for herds of domestic cattle—can have dramatic effects on large carnivores’ ability to survive in their historic ranges. 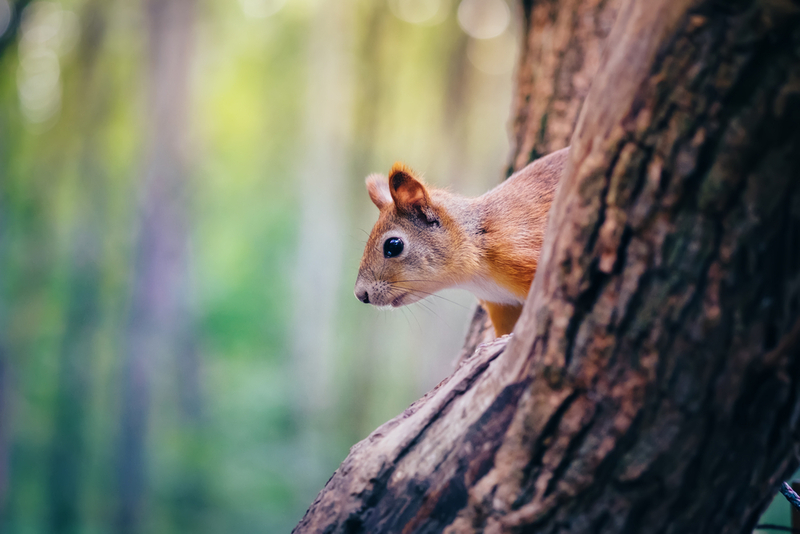 The researchers also say that reintroduction programs would be most successful in rural areas with low human population density and limited agricultural and livestock-raising use. “Also, more large protected areas are urgently needed for large carnivore conservation,” said co-researcher William Ripple. The good news is that it is possible to help these animals by changing human attitudes about them. Additionally, the relationship between increasing agriculture use and range contractions can be limited when predator-friendly agriculture methods are used. But human exploitation of former large carnivore ranges isn’t the only thing we need to be on the lookout for. 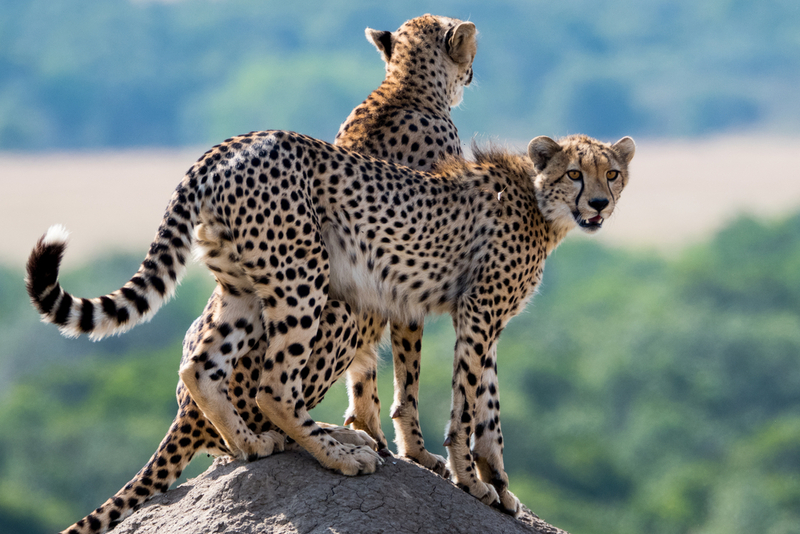 “In the face of newer threats like anthropogenic climate change, it is critical to continue to monitor large carnivore ranges to ensure the future of these species,” the researchers conclude. Ultimately, the stability of large carnivore populations is highly dependent on human behavior. Whether that involves evolution of agriculture and ranching methods or limiting the effects of climate change, the ultimate success of reintroducing these species in their historic ranges is dependent entirely on us. On June 14, a federal judge put a temporary block on the use of the controversial Dakota Access Pipeline by stating that the Army Corps of Engineers needs to reconsider some of its environmental impact studies. 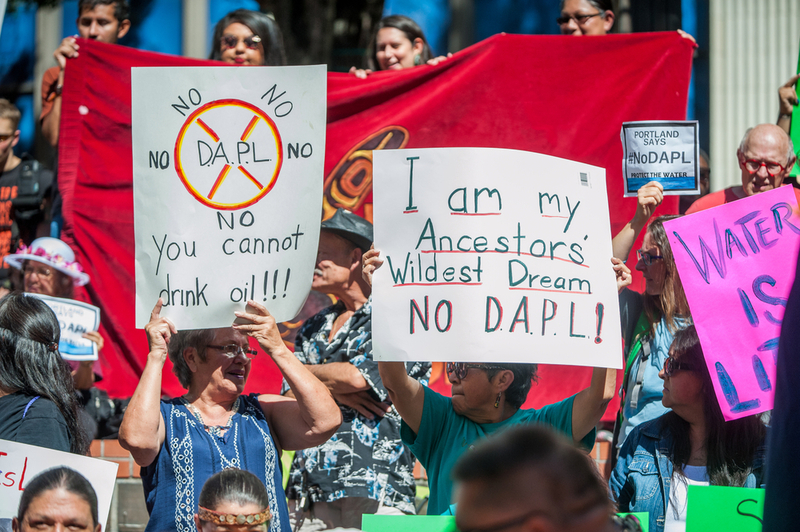 Boasberg had previously rejected two of the Standing Rock Sioux tribe’s appeals—one based on the fact that construction threatened sites of historical and cultural significance to the tribe, and the other that oil in the pipeline under Lake Oahe would damage sacred waters. The judge wrote that while the Army Corps of Engineers had “substantially complied” with the National Environmental Policy Act, federal permits issued for the pipeline were in violation of the law in certain ways. “To remedy those violations, the Corps will have to reconsider those sections of its environmental analysis upon remand by the Court,” Boasberg wrote. Later on, the judge will consider whether the pipeline must halt operations while the additional research is being conducted. A status conference is scheduled for the week of June 19. Whether the pipeline is shut during the review or not depends on whether the omissions in the Corps’ analysis can be addressed quickly, or whether they’re large errors that might require more study. “We applaud the courts for protecting our laws and regulations from undue political influence, and we will ask the Court to shut down pipeline operations immediately,” Standing Rock Sioux Chairman Dave Archambault said in a statement. Just days after being sworn in, President Trump issued an executive order directing the Corps to do whatever it needed to do to get the pipeline construction underway. In February, the Corps granted the final easement needed to finish the pipeline. Although the protests by the Standing Rock tribe and its allies were effectively over in February, when the main encampment was cleared and the pipeline completed, this decision by Judge Boasberg shows that the struggle for justice—both for the environment and for the tribe—is not over yet.